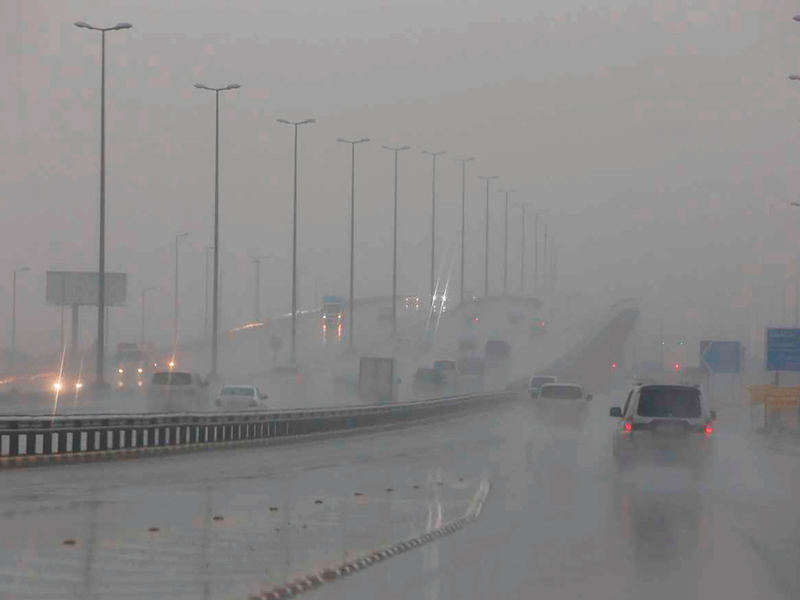 Manama: Kuwait is currently witnessing unstable weather conditions and heavy downpours in some areas and forecasts indicate the instability will continue until Friday morning. The interior ministry warned some roads were completely closed to traffic due to the heavy downpour, which turned some of them into large pools of water, and instructed motorists to take alternative routes. The cabinet at an emergency meeting on Wednesday decided to suspend work at all ministries, state institutions, colleges and public and private schools on Thursday as a precautionary measure. It had made a similar decision on Wednesday. The cabinet in a tweet spoke highly of the adherence by citizens and residents to all instructions and warnings by the relevant state agencies and bodies. A spokesperson for the Civil Defence said they had sheltered 148 individuals in 29 hospitality flats in the Ahmadi governorate. “We rescued them after we received calls from them,” Jamal Al Fawdari said. 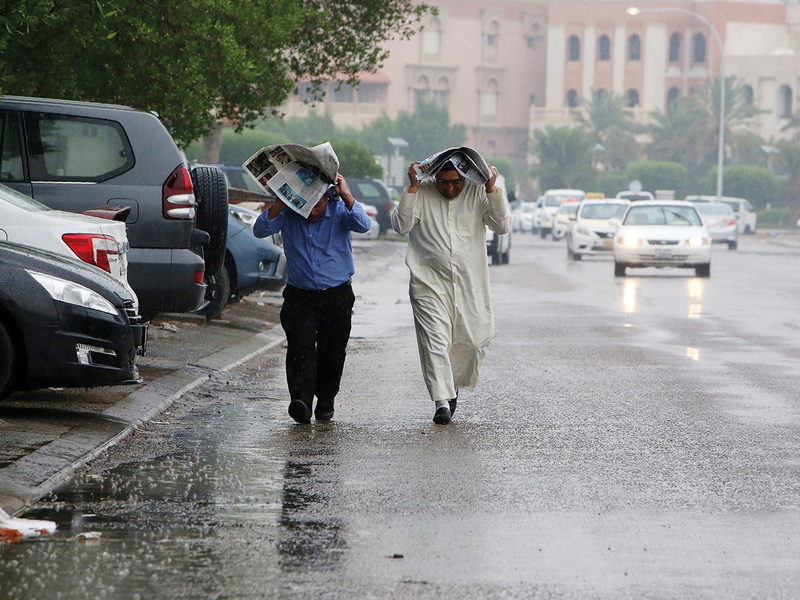 Life in the northern Arabian Gulf state has come to a standstill for the past three days following the unusually heavy downpour that, according to the meteorological department, was equal to Kuwait’s average annual rainfall. The deluge has flooded tunnels, bridges and roads, and damaged buildings in residential areas and vehicles. The failure of sewage systems led to several cars being swept away. The cabinet suspended work at ministries, government institutions and schools in a bid to ensure people’s safety and to minimise risks of accidents and mishaps following the heavy downpour. 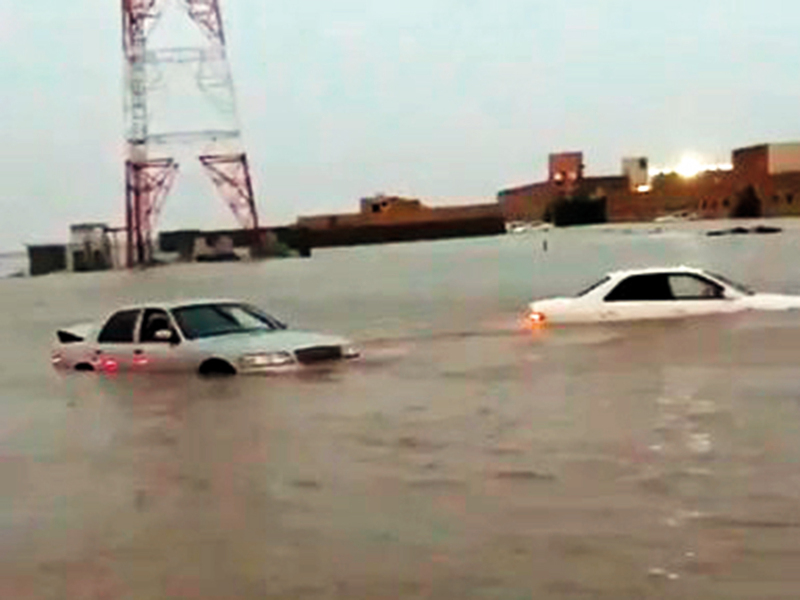 Several agencies were mobilised to help with the damage control and rescue efforts, and Kuwait’s army and National Guard were eventually ordered to join in. 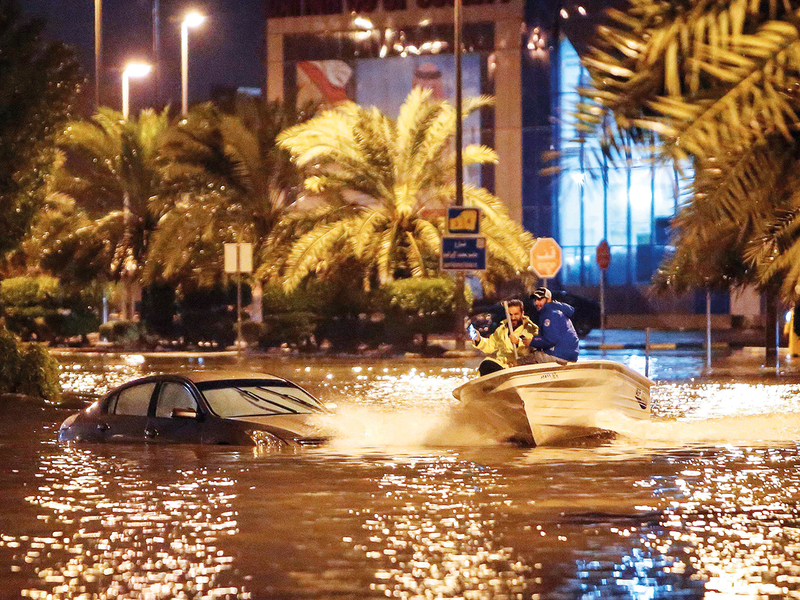 The interior ministry told citizens and expatriates to avoid venturing out of their homes while the authorities attempt to deal with the situation. Road users were warned to exercise the highest levels of caution due to the driving difficulties, traffic congestions and floods. The rains have claimed one victim, Ahmad Fadhili, who drowned on Saturday as he was attempting to save his family. Special centres in flooded areas were opened to shelter people who needed assistance. Beside the logistics, another issue for the government is how to deal efficiently with fake news and allegations being circulated on social media, which have contributed to creating an atmosphere of apprehension among Kuwaiti citizens and expatriates. Several requests were made to people to not fall for fake clips and pictures, and to only rely on official sources of information regarding the weather conditions and the situation in the country. Kuwait Television aired programmes and newscasts to keep viewers updated on the latest details, warnings and statements. Politically, the first victims were officials at the public work ministry, reportedly for failing to deal with the challenges resulting from the unusual conditions. Public Works Minister and Minister of State for Municipal Affairs Hossam Al Roumi opted to resign. Al Roumi expressed his “deep regret” about the severe destruction of property. “Everyone knows that I am new at the Ministry of Public Works and that I have exerted every effort to carry out my responsibilities in developing work, protecting public funds, combating corruption and working with my colleagues,” he said in a statement on Friday evening.